The Holy Spirit has carefully crafted each Gospel to show us different aspects of our Lord Jesus. Each one contains stories that are unique to it. The first three have many stories in common, though told from their own unique perspective. John, however, stands alone as being almost entirely unlike the other three. Did you catch that? They didn’t say He was “born TO BE King,” but “BORN KING.” How appropriate that this event is recorded here, because Matthew is the all about Jesus as King. Jesus did not come to earth to be crowned king; He already was King. He was always Royalty! In fact, His parents, not Herod, were the true royal couple. They should have been reigning on the throne in Jerusalem instead of Herod as they were direct descendants of King David. Why, Herod wasn’t even a Jew! Matthew was a tax collector. While we in our society take a dim view of tax collectors, it was far worse in ancient Israel. Matthew had to do some terrible things, like renounce his people, his friends and family, his nation, and his God. He had to swear absolute allegiance only to Rome and to Caesar. They were considered even lower than prostitutes. No wonder they were hated and ostracized. They were technically traitors to their own nation. Though they may have gotten wealthy from this despicable profession, it came at great cost. I wouldn’t doubt that he had tears in his eyes as he put those words on paper. Up until that time, no doubt he had lost all hope of ever going to heaven. After all, he had renounced God, right? Then one day, this wonderful Man walked into his life and extended grace to him. He left everything immediately and followed Jesus, inviting Him to come his home, which He did. Matthew threw a party in His honor and invited all his friends, most of whom were either fellow tax collectors or prostitutes. The two professions kinda went hand in hand. It bears repeating that this Gospel is Jewish in nature. That is why the phrase, “Kingdom of God,” is never mentioned because the Jewish people don’t like to use God’s name for fear of blaspheming Him. Even today, in their books or documents, they will write either “G-d, kingdom of Heaven,” or refer to God as “the Name: haShem.” Matthew understood this reticence of theirs very well and wrote his account with that in mind. Contained therein are these four things: 1) The genealogy of the King; 2) The constitution of the King; 3) The deeds of the King, and 4) The plan of the King hidden in the parables of chapter 13. #1) Pedigree/Lineage Of The King. Because Matthew is the Gospel of the King, in verses 1-17, he records the genealogy of The King, from “David, the son of Abraham, to Joseph the husband of Mary.” Why is Joseph’s line documented? Because even though he provided no seed, nevertheless, Jesus was born into his household. It proves that through both parents, Jesus had a DOUBLE CLAIM to the throne of King David. As you saw in part 3, Matthew lists David’s name first, then Abraham because through David came the right of kingship. Abraham was promised the land by God, proving Jesus’ claim to it. When He returns as King to set this world right, He will rule over the whole earth, seated on the throne of His father, David. He will set up His capitol in Jerusalem which was promised to Abraham and his seed forever. #2) The Constitution Of The King. In the sermon on the Mount, Jesus shares with us the Constitution of His Kingdom. Because Jesus was rejected as their King, this kingdom is now in temporary suspension, until He returns at the end of the 7 years of tribulation. #3) The Deeds Of The King. Right after the Sermon on the Mount, which outlined the constitution of the King, Matthew begins to record the Deeds of the King. Throughout the middle of Matthew are all kinds of miracles. Immediately after the Sermon on the Mount, He turned around, AWAY from the crowd, and began to demonstrate what the world would be like with Him in charge. 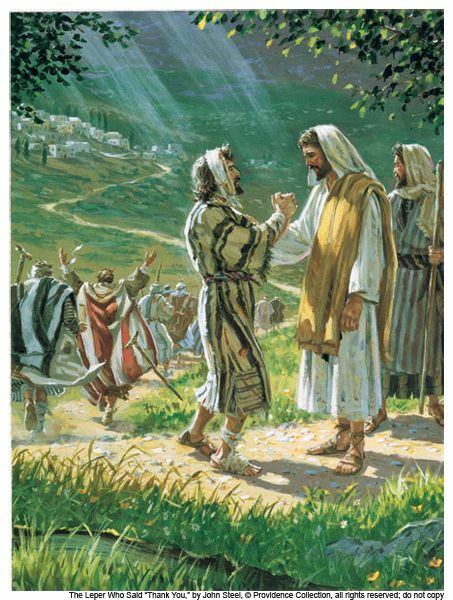 The first thing He did was to heal a leper, who had probably been hiding behind a rock on the other side of the mountain. He had obviously been listening to every word. Jesus must have known he was there because He came down that side of the mount where He would pass right by the man, and he healed him! We see Him going here and there, healing the sick, raising the dead, casting out demons and cleansing lepers. Think about it! What would the world would have been like had He been in charge for the last 2,000 years? We can see what a wonderful world it would have been! The Plan Of The King. In this chapter, Jesus lays out the plan of His kingdom. It is hidden from view of the general public because Israel largely rejected her King. This is why He began to speak to them in parables so that seeing they would not see, and hearing they would not hear. This was the kindest thing He could do for them because if they fully understood, it would make their guilt in rejecting Him greater. It was both a kindness and a judgment. The kingdom parables of Matthew 13 reveal that the Gospel would first be given to the lost sheep of the house of Israel. They are the treasure hidden in the field, in vs. 44. Because of their ultimate rejection of Jesus as their Messiah, God would give the Gospel to the Gentiles. They, too, would be offered a chance to be saved from their sins. They are “The pearl of great price,” spoken of in verses 45-46. When Jesus returns after the seven years of tribulation, the gospel will go throughout the whole world and nations will be saved! That is the dragnet spoken of in verses 47-48. I love also how the parable of the Great Banquet in Luke 14 is a picture of how the gospel came to the Jew and then the Gentile. The excuses given are very Jewish pictures – “I already have 10 oxen” (the Law), I already have a field and a marriage partner (we’re chosen already – we don’t need Jesus thanks) so the invite instead goes out to “the poor and crippled and blind and lame” (what else would Jews call Gentiles :-).